Okay. ‘Das Cabinet Des…’ no, let’s say it properly – ‘The Cabinet of Dr. Caligari’ is one of my favourite films. It is generally always listed among the top four German silents, along with ‘Nosferatu’, ‘Metropolis’ and ‘Der Golem’ and, as far as I’m concerned, only ‘Nosferatu’ narrowly edges it out of the top slot. Thanks to its fairytale mix of grand guignol, modern detective story (although not really) and psychological thriller (which is also pushing that descriptor a bit), ‘Caligari’ always seems to me to be the freshest of that bunch, with a different statement to make every time you watch it. ‘Caligari’ is a masterpiece and should be part of everybody’s movie-watching experience, at least once in their lifetime. Do I really have to tell you the plot? That’s tough without giving away spoilers but I’ll try. One of the exhibits is the somnambulist Cesare who, once awoken from his apparently endless twenty-year sleep by the sinister showman Dr. Caligari, grimly predicts the futures of people in the audience. Cesare is pale-skinned, whip-thin and dressed all-in-black like a skeletal ballet dancer with a Beatles-era moptop, e.g. probably not the go-to guy for ‘what’s happening to me tomorrow?’-type life-advice and, not surprisingly, when one of our heroes asks Cesare how long he’s got left to live the answer’s not a good one. That same question and answer also, you won’t be surprised to learn, results in cutting down the rest of that character’s screen-time quite considerably. When he is murdered during the night our other hero, rather than taking advantage of the situation by hitting on the rather flimsy will-o-the-wispy girl he and his newly-dead friend both confessed to loving on their way back from the fair, decides to investigate. He’s certain that the malevolent Dr. Caligari and his kebab-skewer-slim somnambulist are behind the murders (oh yeah, I forgot to mention that the night before the fair one of the town officials was killed too) but how does he prove it? And that’s as much as I’m telling you. There are twists and turns, mostly of the jagged zig-zag variety, a brilliant moment involving Cesare and a sleeping maiden which James Whale obviously ripped off when he directed ‘Frankenstein’ (1931), flashes of design genius that Tim Burton would jump all over when he made ‘Edward Scissorhands’ (1990) and a story-in-a-story that was allegedly imposed on director Robert Wiene by the German censors, who wanted to show that if you trust in the State and the wisdom of the Fatherland it all works out well in the end. While we were watching the film my wife mentioned how much Caligari looked like The Penguin from ‘Batman’ (especially the Danny DeVito version – see? Tim Burton again?) and I haven’t checked but I think she’s onto something, especially considering that ‘Batman’ creator Bob Kane was apparently inspired by Conrad Veidt’s appearance in another early-German film called ‘The Man who Laughs’ (1928) and Conrad Veidt plays the somnambulist Cesare. What did Bob Kane do with his Conrad Veidt inspiration? He created The Joker. If I really wanted to push my luck, I would also add that The Joker was played in the ‘Batman’ TV series by Cesar Romero (Cesar = how someone who can’t spell might spell Cesare) but now I’m just being ridiculous. Bottom line: ‘Das Cabinet Des Dr. Caligari’ is still, almost a century after its creation, a mesmerising and vitally important work of art. 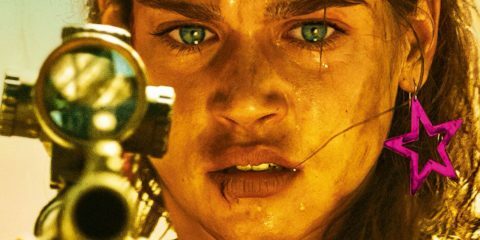 If you have the chance to see it during its limited theatrical release, go. We have too few opportunities to watch classic films like these on the big screen and when one comes along we should take full advantage of it. The restoration is very fine indeed. The image, sharper than ever. The musical score (the production notes which accompanied the screener don’t mention if it’s been especially commissioned for this release) is the best I’ve heard for a film of this era and enhances the visuals perfectly. The intertitles are short, sharp and easy to read and don’t intrude on the flow of the action and it’s wonderful, after having watched so many other different ‘versions’ of this film, to finally see ‘Caligari’ tinted as it should be with blue-green for the night scenes, blue and orange for the ‘story within story’ sequences and pink and orange for the remainder. A lot of very hard work has been done here, and the love and care should be applauded. As for the DVD / Blu-ray presentation, I unfortunately cannot comment. Unlike most Eureka! Screeners, ‘Caligari’ arrived on a very basic DVD-R with an annoying timecode in the top left-hand corner of the screen but excellent video and audio to make up for it. There is no indication whether there will be any extra features or commentaries included on the sell-through discs (although Eureka! are usually very impressive in that respect, so my hopes are high they might come up with something special) and I’m assuming that the few pages of photocopied notes I received about the restoration will no doubt be included in the packaging). 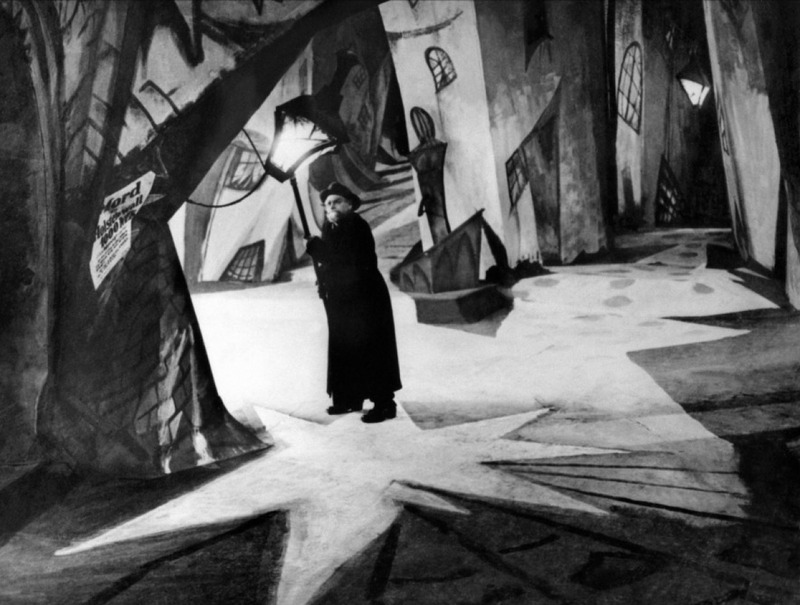 Having said that – whether there are extras or not – this is by far-and-away the best (okay, I’ll say the title properly) ‘Das Cabinet Des Dr. Caligari’ has ever looked, and comes extremely highly recommended.